Massage therapy techniques are deeply rooted in ancient cultures. While the philosophies behind many massages have changed over time, their healing properties continue to bear proven results today. The relaxing and natural process of massage therapy provides benefits to people of all ages and conditions. Do you often find yourself feeling tense, stressed out, and so preoccupied with life’s worries that you can’t relax and enjoy yourself? If so, it might be time to schedule a massage at Manhattan’s premier Asian massage destination. Massage has been used for many years to promote relaxation of the body and mind, and it offers a variety of physical and mental benefits. Keep reading to learn why is it is important to get a massage. Reasons and health benefits for why you should get a massage. Many people go through their days without being conscious of their breathing. When you are tense or worried, your breath has a tendency to become shallow, which furthers the cycle of stress. Deep breathing promotes a healthy flow of oxygen through your body, which is necessary for healing and growth. Your massage therapist may give you cues to encourage you to be aware of your breath, and you will in turn feel your stress melt away. Practicing deep breathing during your massage can also help you once you’re back in the real world to focus on this simple yet important function. In today’s modern world, many people spend a great deal of time sitting at a desk or staring at a computer, notebook, or smartphone. Spending so much time in a sitting position with less-than-perfect posture can cause your muscles to lose flexibility and become tense, leading to chronic soreness and pain. As your muscles become more flexible and supple during repeated massages, your posture may improve when tension is released. It’s normal to feel tense or stressed out some of the time, but feeling this way too often can have detrimental effects on your mental health and your physical well-being. A massage helps your mental state because feel-good chemicals are released during your treatment. It can even help relieve the symptoms of depression and anxiety in addition to making you feel generally more relaxed. The most popular reason why people seek out massage therapy is to relieve their back and neck pain. People who suffer from poor posture or bad sleeping habits are likely to experience stiffness of the back or neck. A single massage session is a great solution to decreasing painful symptoms of tight muscles and pressure that could otherwise worsen over time. Getting a massage is a physically relaxing experience that can also affect your emotional wellbeing. And taking the time to get a massage is important for people suffering from depression and high stress levels. A study conducted by the University of Miami showed that breast cancer patients who underwent massage therapy reported feeling less depressed and fatigued. Massage is able to do this by lowering cortisol levels which is the body’s natural response to stress. A single massaeg can lower cortisol levels by as much as 50%. Plus, massage has many other benefits that help fight stress and depression such as increasing your levels of serotonin and dopamine which are both neurotransmitters that help stabilize your mood. Typical physical and behavioral symptoms that are associated with PMS include bloating, fatigue, and stomach pain. While PMS symptoms vary from woman to woman, some light massage therapy is known to provide temporary relief. Different massage techniques are known to promote unique health benefits. The Swedish massage, which uses five strokes to stimulate better circulation throughout the body, can actually strengthen your immune system’s ability to ward off disease and illness. An estimated 45 million Americans suffer from chronic headaches and it is one of the most common complaints made to healthcare professionals each year. While most people treat their headaches with over-the-counter medications or prescription medicaltions which are highly effective, they only provide temporary relief for a chronic problem. 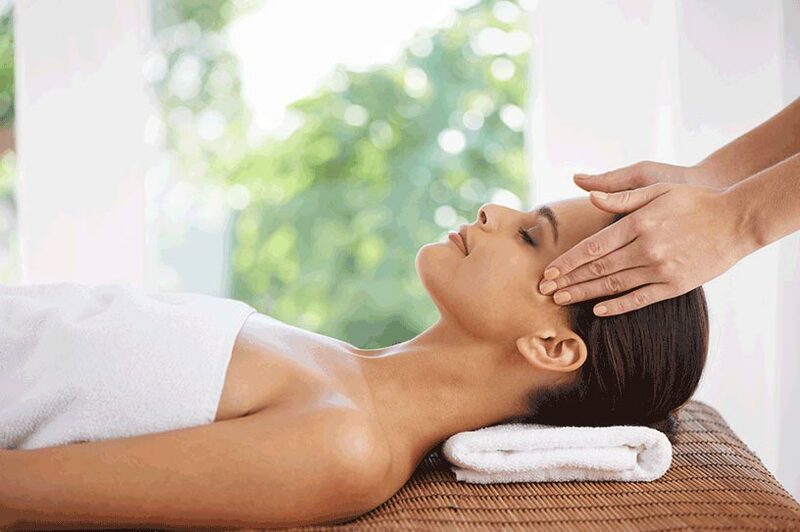 Massage therapy has been shown to effectively treat migraine and tension headaches on a longer term basis. Stress does not just interfere with daily routines, but it also has a negative effect on health. The body experiences physical and emotional symptoms when you are stressed out. This can lead to a weakened immune system that makes you sick more often. Massage promotes relaxation and stress reduction, helping you feel comfortable and healthy. Are you losing precious hours of sleep? Stress and illness make it difficult to fall asleep and stay asleep throughout the night. If you do not get enough sleep, you put yourself at risk for developing other illnesses. Receiving a massage is an excellent way to help yourself relax, clear your mind, and eventually get a better night’s sleep. High blood pressure is a serious health risk that can be fatal in some cases as it raises the risk of having a heart attack or stroke. This is why it is important to work on lowering your blood pressure if you find out it is too high by adopting healthy lifestyle behaviors including quitting smoking, eating a diet low in fat, salt and cholesterol and getting regular exercise. But did you know that research shows that massage therapy also helps lower blood pressure. Massage helps to rub, squeeze and stretch the muscles, tendons, ligaments and soft tissues in the body plus it can improve circulation. Improved circulation helps reduce swelling which occurs alongside high blood pressure. This medical benefit results in overall improved health! If you have high blood pressure, make sure you get approval from your physician before getting a massage. A massage helps you relax and feel great! That is why so many people schedule massage treatments during their free time. When you visit us here at West Garden Spa in Midtown Manhattan, you can choose from a number of amazing massage styles. Each technique offers its own advantages to help guests feel comfortable and peaceful. Let the helping hands at Manhattan’s West Garden Asian Massage Spa guide you toward improved physical and mental health by scheduling a massage with us today. Our masseuses are trained at helping your body relax, release stress, improve health issues and make sure you leave happy. Call 214.244.7711 to schedule your massage. At West Garden Spa we offer Asian massage services, Shiatsu massage, Swedish massage, deep tissue massage, soft massage and 4 hand massage. Our NYC Asian massage parlor is conveniently located only minutes away from Penn Station in Midtown Manhattan and we are open til 1am most days of the week.